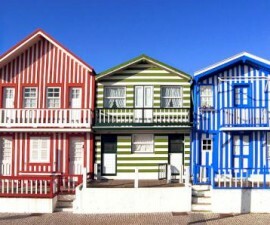 Aveiro is a compact city perched on the edge of the lagoon — a wide estuary with a narrow canalled opening which stretches out into the waters of the Atlantic Ocean. It is a beguiling mix of historical architecture, canal-side walks and nearby beaches, ensuring its popularity year after year with visitors from all over Portugal and beyond. There is much to do in the city, but as always a good place to start is by leaving your wheels behind and exploring the wide, pedestrian streets to take in the attractions of the city centre on foot. 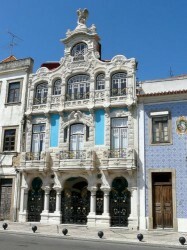 Despite its size, Aveiro offers a number of interesting historic attractions to visit. Begin your sightseeing tour in the main square, where you will find the church of Sao Domingos, also known as Aveiro Cathedral. Founded in 1423, it is designed in typical Gothic style, with a number of baroque embellishments which were added during renovation projects several centuries later. 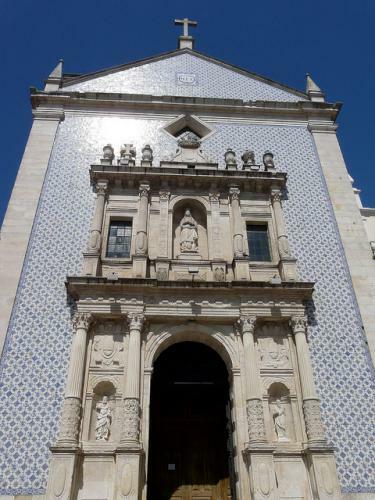 The Aveiro Cathedral is most notable perhaps for its façade, which is clad in exquisitely designed ceramic tiles, or azulejos, which are popular all over Portugal. There is also a baroque portal, added in 1719, which invites you to step over the threshold and explore within. Once inside Aveiro Cathedral, you are greeted with an expansive whitewashed arched ceiling and some beautiful gilded wood carvings. 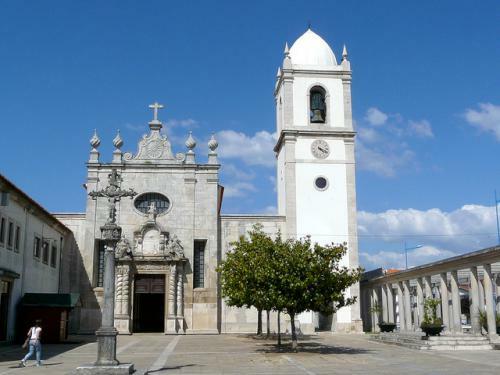 A Sunday visit is highly recommended, when visitors have the opportunity to join or watch the weekly mass and gain a flavour of the history and customs of the church and the people of Aveiro. Directly opposite to the cathedral is your next stop — Aveiro Museum. The Aveiro Museum occupies the area of the Jesus Monastery, an ancient convent established by and for female followers of the Dominican order back in the 15th century. The Jesus Monastery developed a strong reputation during the centuries it was active, thanks to its most famous member, the Infanta Joana, daughter of King Joao V and one-time heir to the throne. Infanta Joana defied her father’s wishes by entering the order, and devoted her life to her calling. She remained in the monastery until her death at the tender age of 38 and is said to have brought about a number of miracles, for which she was later beatified, becoming the town’s patron saint — St Joana, or Saint Joan. St Joana’s tomb is one of the biggest draws of the Aveiro Museum. Designed in ornate baroque style from beautifully worked marble, it took its crafter, Joao Antunes, twelve years to complete. 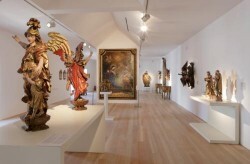 The Museum houses an important collection of religious art which once belonged to the convents and monasteries prior to the abolition of the religious orders in 1834, after which they were expropriated by the State. The collection dates mostly from the fifteenth to the eighteenth centuries and includes gilded wood carvings, vestments, gold and silver works, ceramics and furniture. The Museum complex covers the main building of the Jesus Monastery, other monastery buildings, its church and its cloisters. A short walk from the monastery brings us to the Praça da Republica, a small square with the city hall located on one side and a pretty church on the other, known as the Misericordia Church. The church has an attractive Renaissance portal and, like the cathedral, its façade is clad in delightful polychrome azulejos depicting historical themes. 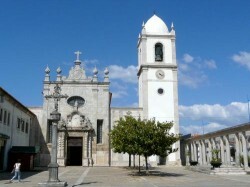 The Misericordia Church dates from the late sixteenth century and served as a cathedral during the creation of the Diocese of Aveiro. Take the time to explore the interior, where you will find more ceramic tile works and a huge arch with stone cross. 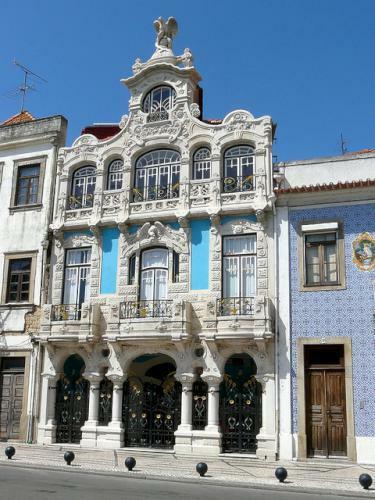 Your final stop on your tour of historic attractions in Aveiro is the Museum of Art Nouveau. This is the latest arrival on the city’s cultural scene but its roots lie right back in an offshoot of the Arts and Crafts movement in the late nineteenth century. The building is one of the most attractive in the city and was designed by Silvia Rocha and Ernest Korrodi. The façade boasts many art nouveau features, with organic shapes, wrought iron embellishments and an eagle perched on its top. Inside the Museum of Art Nouveau the walls are lined with rows of beautiful azulejos, hand painted with motifs that were typical of the period, including birds, animals and flowers. The first floor “maps” an art nouveau route through the neighbourhood, which takes in no less than 28 prime examples of architecture from the period, while the top floor is devoted to exhibition space. The first level is home to the Casa de Cha, the period tea room which makes the perfect spot for relaxing after a long day of sightseeing.